Pennsylvania Lottery has launched iLottery offering players both mobile and online games for the very first time. To celebrate this new endeavor, they reward every user that opens a new account with them with a special welcome offer. Below, you will find more details about how to reveal the iLottery Bonus Code and unlock the signup offer. iLottery Bonus Code: How to Activate it? Most of the times, it is required to make a deposit upon signup before you can claim the welcome bonus. With iLottery, things are different, and easier. All you need to do is finish the registration process. Then, the money will automatically be added to your balance, and you can start playing. But, first, you have to get your iLottery Bonus Code also referred to as PA iLottery Bonus Code. Click on any button in this review – You will be redirected to the iLottery official website. Click on the green “Sign Up” button – You will find it in the top right-hand corner of the screen. Fill out the registration form with your details – This is a 3-step procedure. First, you will be asked to provide login details, then some personal information (simple things like name, surname, gender, and date of birth), and finally your contact details. Click “Submit” – You are done. Your $5 will be waiting for you in your balance. In the third step of the signup process, you will notice there is a field called “Bonus Code”, where you usually need to enter a PA iLottery Bonus Code if you have one. You don’t need to worry about that. The moment you click on any of the buttons in this review, the PA iLottery Bonus Code will be automatically activated for you, so no need to type anything in the corresponding field. Make sure you tick all the boxes with terms and conditions, right below the registration form, before you click on Submit. In the Contact Details section of the signup procedure, you will be called to give some answers to a total of two security questions. This is strictly to protect your account from unauthorized access. All the useful information on bonus and promotions is in the table below. Currently, VIP members have the chance to win Lottery prizes by entering exclusive Draw Game and Fast Play tickets, coupons, or Scratch-Offs. Plus, they get to receive customized alerts and winning numbers on their smartphone (via text SMS) or email account. However, for those of you now starting out, you may use your PA iLottery Bonus Code welcome offer to play a collection of online games (i.e. Foxin’ Wins and Big Money Slingo) and cash out your bonus right after you have played your bonus amount just once. This is a huge plus, compared to playing with other sports betting or gambling companies, where the wagering requirements are much stricter. As long as you are over 21 years of age and located (not necessarily live permanently, though) anywhere in the Commonwealth of Pennsylvania the moment you play, you are good to go. Minimum deposit is $10, and you must play through your deposit 5X before bonus money is converted to cash. *Players must be located within Pennsylvania at the time of play. Although Pennsylvania iLottery accepts Visa Debit, MasterCard Debit, ACH e-check, and PayNearMe as payment methods, you can’t use your credit cards to deposit money on the platform. The same applies to withdrawing money from your account. To make a deposit or withdraw, click on “My Account”, and then “Cashier”. 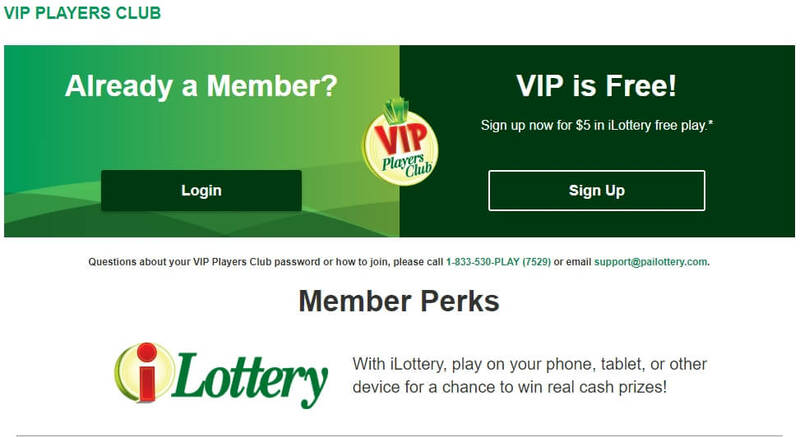 The PA iLottery Bonus Code is your ticket to not only the iLottery platform itself (with all benefits that come with it) but also the iLottery VIP Players club, whose members enjoy exclusive sections of the website and a greater plethora of games to play. To become a member of such a select community, you just have to stick with PA iLottery for a while. Your patience and dedication will be rewarded generously shortly! iLottery allows you to play your favorite games while on the go. To get you started on the right foot, they give you a $5 welcome bonus, plus the option to demo play their games before you decide to use real money. Also, the PA iLotery Bonus Code can get you inside the VIP Players club for even more fun and special promos for your eyes only.